In a world of beautiful blogs, perfect pinterest pictures, and spectacular crafts, perfection is a hard image to uphold. I don’t plan to either. I have craft and food fails too…a lot. I actually appreciate the failures, they make for great stories. 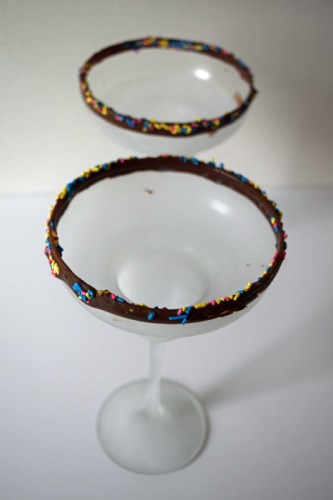 Like these sprinkle rimmed glasses I was making for chocolate martinis. I was a bartender in a former life, so this should be easy, right? Hint: You need a ton of extra sprinkles to make this work. And they must be the tiny, tiny ones. Or your glasses will end up pretty pathetic. File this lemon blueberry loaf under volcanic baking fail. Someone may have tried to substitute white sugar for brown in the crumb topping because the brown sugar was at the other house. Wasn’t my finest, but I could live with that. After taking a decent picture, I put a knife in it and it literally deflated like a balloon. My baking confidence crushed along with it. There is something about blueberries this year, because I have failed every recipe with them, even muffins I have made perfectly half a dozen times. Words cannot describe how delicious this zucchini, mushroom, bacon, cheddar omelet is. But every time I see this picture, I think my omelet is sticking its tongue out at me, under a mustache. Just gross. 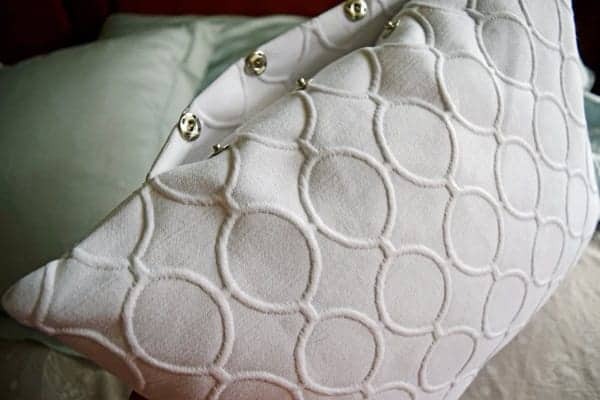 I tried to reinvent pillow covers and sew snaps on so I could wash the pillow cover. I even was going to make four of these babies! 3 hours of hand sewing tiny snaps before I gave up. That was ONE PILLOW! This one goes under learning experience, because I improved and made my bolster pillow from a pillow case (in about an hour). So this is about 1/2 of my failures and not even the worst ones. Just the ones I actually photographed instead of throwing an all out ugly face tear fest. Failures are part of life and, at least, I (mostly) learned something, right? Here’s to hoping for more success! Thanks Lauren. I really do appreciate the failures, albeit in hindsight, lol. You are right that without failures, it wouldn’t be as fun when we feel success. The omelet was delicious. I know I can be picky, but I just can’t stop looking at it. Thank goodness I didn’t notice until after it was eaten. Zucchini, mushroom, bacon omelet will always be my absolute favorite. I do a lot of crafts and I’ve noticed that a lot of the tutorials on “great projects” are missing key points or steps in actually re-creating them causing epic fails. Martha Stewart is a prime example. People complain that some of her diy’s are almost impossible to do. I know, I’ve tried a few, years ago. She’s improved a bit but some instructions are still lacking. That’s why my posts are always long, step by step tutorials. As for taking pictures of delicious foods created, a lesson I found about taking pictures of food states that the pictures are doctored to look good and the food is either half cooked or painted to appear yummy. I’m sure your omelet was delish! Love your honesty and for keeping it real! Thanks for sharing with the Thursday Blog Hop! I am actually considering writing a semi-annual failure post. This was actually really fun and it gave me a new perspective to remember when I am in that moment where my project just isn’t going how I envisioned. Thanks for stopping by! OMG this made me laugh so hard, I did a chocolate cake martini and could not get those dang sprinkles to stick on for my life. Then I tried drizzling chocolate syrup in the glass and that looked like something exploded and oozed in the glass, it was horrible! Thanks for linking up to Cook it! Craft it! Share it! I used the melting chocolates to dip my rim in and the rim actually worked really well. I used to use chocolate syrup when I was bartending in college, and it always made such a mess. Those drinks were never as pretty as the picture. Thank you so much for stopping by! This is so funny. I have those same things also. In the beginning my pictures were so bad. I just shake my head. I need to start taking pictures of everything else that I am not taking a picture of. My counter will look so clean and nice, and the rest of my kitchen will look like a bomb went off. I am sure most a lot of people experience this and most of the non-blogger world would be surprised at how much goes into those perfect pinterest pictures or what the wide angle shot would really look like, lol! The omelet looks good to me. I was sorta glad the family ate it before looking at the pictures, lol. Thank goodness food does not go wasted in my house, even bad food photography. So glad to hear that I’m not the only one who sometimes achieves less-than-perfect crafting results! Thanks for the honesty! You are definitely not the only one, Sarah. I think even the professionals must have some real duds. Wish they would share too! No such thing as a failure, just an opportunity to learn and grow – didn’t Oprah say something like that about 18 years ago when I was on maternity leave and was able to watch daytime TV? I could genuinely write lol here because your omelette comments actually made me laugh out loud, sadly I had just taken a gulp of tea and an embarrassing “spit it back into the cup or risk spraying the computer” incident occurred! Nice to know everyone has fails, my kids will eat muffins and cupcakes by scraping them off the papers with their teeth if necessary, we’ve had crumbled cake in a bowl with a dollop of ice cream and a spoon. Nice to know your son also knows you can’t waste good food! OMG, love your comment! I laughed so hard because I know all of these from experience. Your right though about keeping the perspective that we can always learn and grow from failure. Thank you so much for stopping by and sharing! I know how you feel and am proud of you for continuing to blog. My recent post was thrown together quickly because the delicious pizza I made and wanted to post, well the photos just didn’t turn out! I took a few snapshots, but I hadn’t cleared the background and was busy with something else and by the time everything was ready, the garlic ranch on the pizza just didn’t look appetizing anymore. Don’t get me wrong, it was spectacularly delicious. It just wasn’t photo ready. When I realized I wouldn’t be able to post about the pizza until I made it again, I wondered about making apples dipped in chocolate and covered with sprinkles. Those looked okay, but I wasn’t super happy with the recipe I used, so that post got pitched too. And then I remembered the jean shorts I had made. I had been meaning to post about them sometime–they were so easy and I think they look nicer than most jeans turned into shorts. So that finally became my post, all because I wanted to get a post done by Tuesday. Anyway, good luck and happier blogging. I’m following you on G+, P, and Tw. High fives and hugs to you! The shorts are super cute! I really need to get some extra posts done in case of disaster. 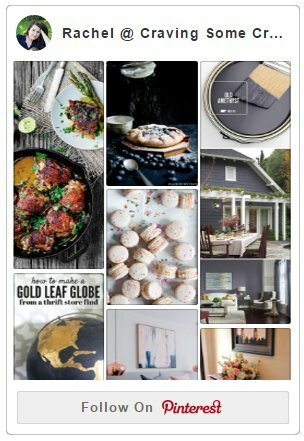 I wonder what people would think if they saw all the “behind the scenes” stuff about food and craft blogging, lol. DAMN that pillow is awesome but ugh, I would not have the patience for sitting there trying to knock it out over three hours. LOL at the tongue omelet. It looks delicious though! I would not have been able to tell it had a face if didn’t point it out. But I’m not a picky person at all so even the martini sprinkled glasses were a win to me!!! I wish I had a picture of the muffins I made over fourth of July. Those were an inedible disaster, lol. The blueberries exploded (truely they did) and sank to the bottom. I had made them several times before and they were perfect. I think it might be my new oven though. Integrity is sort of important to me so you can be sure that my crafts/food look as good or even better in person. I love your integrity! I wish you had a shot of those muffins too! 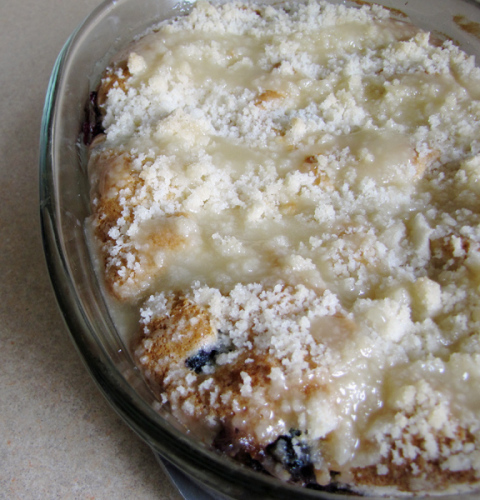 Blueberries sinking to the bottom? LOL! Did you take a bite at all??? I can’t remember if I actually ate any but I know my son ate several. I actually failed the blueberry muffin recipe twice in the new oven. Glad I can count on him for my failures involving sweets. They didn’t exactly come out of the paper in one piece though and he had to eat the muffins with a fork. This is fabulous! I have so many failed craft and DIY projects, This makes me feel better! Thanks for sharing. Thanks, Jen! I was totally channeling your Pinterest testing posts. They were hilarious and so much fun! Nailed it! All of us have failures, and everyone learns from them?! That is part of life, none of us are perfect. LOL! I love that you shared these..we all have failures..but not many of us are willing to show then with the world. Standing ovation for you my dear! Well done. 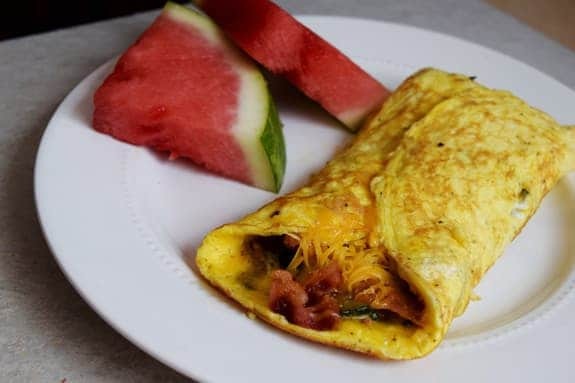 Oh…and FYI…I would totally eat that omelet! Awww, thank you so much. I was hoping to show it’s ok to fail too. I am sure even Queen Martha does, lol. And the omelet is seriously my favorite since I was a kid. I was always sort of surprised IHOP hadn’t caught on!